I have worked for Hachette, Walter Foster, Summersdale and other publishers, writing and illustrating mainly humour and children’s books. I also write and illustrate children's books, travel books and humour books of my own. Scroll down to see more and ask for them at your local library, or bookshop, or buy online. Have you ever thought about living in another country? I drew my experiences of doing that in this book about Hondarribia, in the Basque Country, Spain. It is packed with illustrations and information on Basque culture, cuisine and places to go. A Basque Diary print book on Amazon. Click here to find A Basque Diary at your favourite ebook store. This book is also available in Spanish on Amazon. Being bullied at school is something I remember vividly and I wouldn't want it to happen to anyone else. It inspired this, my first chapter book for 8-12 year olds. 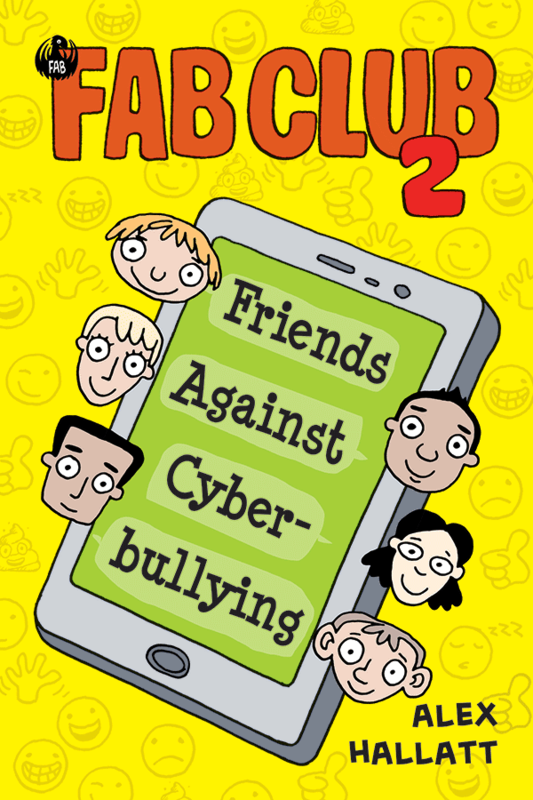 FAB Club was a big hit with kids and led to the sequel: FAB Club 2 - Friends Against Cyberbullying. FAB Club was a finalist in the 2017 Wishing Shelf Book Awards. FAB Club is available on Amazon, iBooks, Kobo, Fishpond, Barnes & Noble and in all good book shops and libraries. FAB Club 2 was a winner in The Wishing Shelf Book Awards. This means a lot to me, as the awards organisers send books out to kids in schools and the books are voted on by them. Thanks, kids! At the end of the long summer holidays, the FAB Club read that their school has run out of money and won’t be opening. Celebration turns to dismay when they find out that they are all going to different schools instead. At first their phones are a lifeline, keeping them in contact. But then the horrible text messages start. Someone is trying to destroy the FAB club and everything they stand for. Will the club be able to stop them and bring the friends back together? Hoover is hungry and eats all the wrong things in this fun book for preschoolers. You can see a preview by going to Amazon or Apple Books. Human Cull is a tongue-in-cheek cartoon about an alien making the world a better place by removing the most annoying people. Litter-droppers, telemarketers and other miscreants are all vaporized painlessly by ray gun, leaving a nicer world for the rest of us to enjoy. The comic appeared first on Comics Sherpa in 2007 and was selected to run on GoComics in 2013. This collection brings together the best comics from the last ten years. Genius. If Charles Schulz had been rejected by all the syndicates and turned bitter his strip would have looked something like this. – Jonathan Lemon, creator of the comic, Rabbits Against Magic. Arctic Circle has been syndicated since 2007 and the comic strip appears daily in newspapers worldwide. This affordable eBook introduces the three immigrant penguins, polar bear and other characters of this engaging comic. The book showcases over a hundred of the best strips. It's all you need to get up to speed on the best green comic strip around.